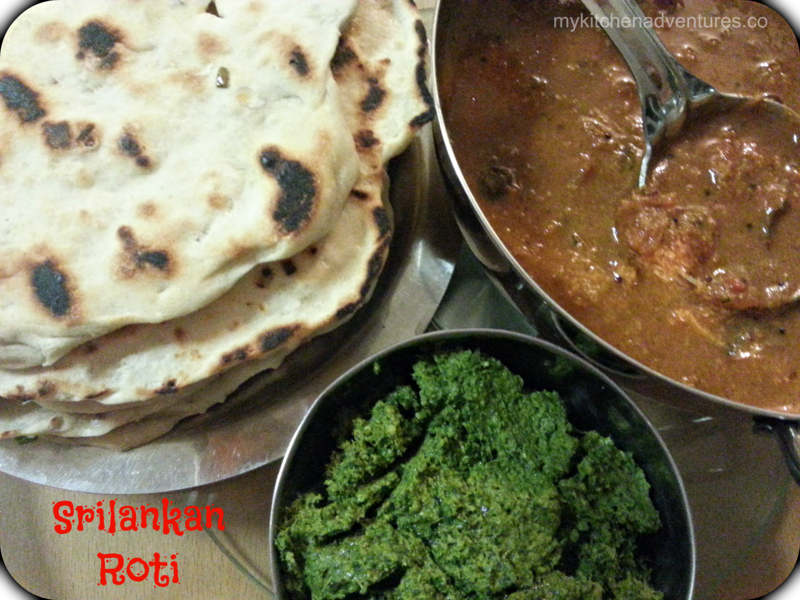 The roti’s here are served with ‘Kaara kuzhambu’ and ‘vallaarai thuvaiyal’. 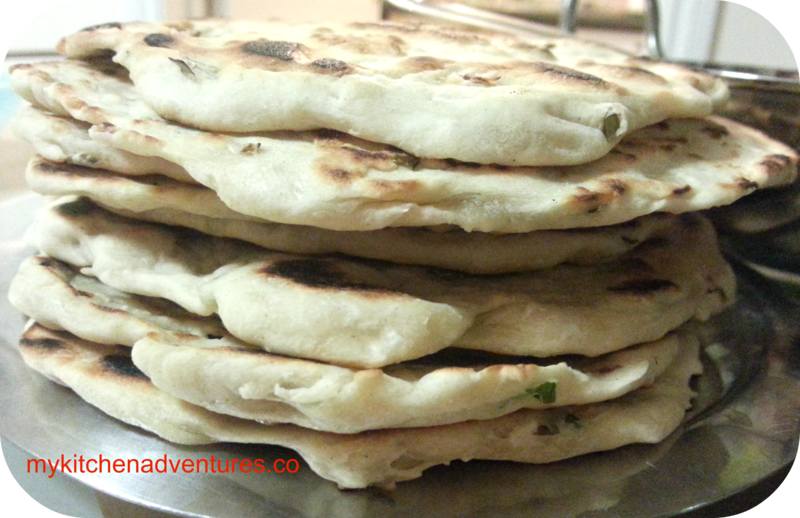 I use strong bread flour to get a nice soft and bouncy roti, but plain flour is traditionally used for this recipe. For a healthier version – use multigrain atta, wholemeal or spelt flour. Click here for other healthy flours you could use. In a large bowl add the flour, coconut, salt and oil and mix well. Then add water a little at a time until it forms a pliable dough, but not too sticky. The dough should be a play-dough consistency and you will need to knead it for about 10 minutes. Add the rest of the ingredients and combine well with the dough. You can now keep this aside until you are ready to use, or rest this for about 1 hour. Make dough balls of the same size – you may need to apply a little oil on your hands to make this easier. Take one dough ball and place in between 2 pieces of foil. Roll out into a circular shape and then cook on a non-stick pan or a cast iron skillet on a low/medium flame. These roti’s do take longer to cook compared to chapathi’s, so you need to be patient. Cook on both sides until you see brown spots all over the roti.